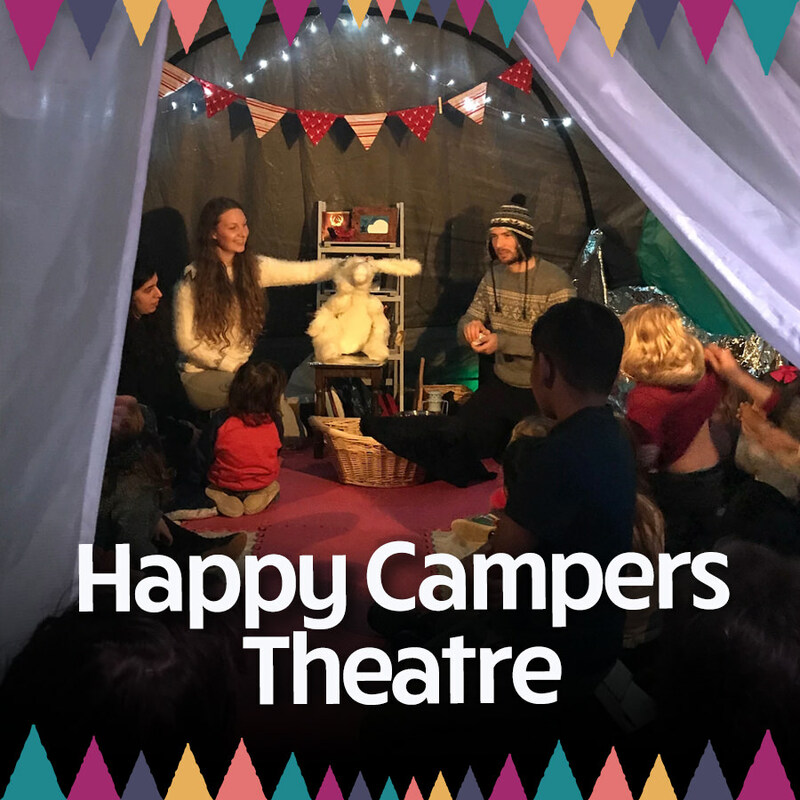 Born out of the hills and valleys of Lancashire, we are proud to be the UK's only theatre company to tour and perform in campsites across the North West and beyond. Our style is fun, family-friendly, and has a homemade, nostalgic feel. We use original music, puppetry and playful storytelling to bring our heart-warming tales to life and offer up a little bit of magic to audiences wherever we go. We're passionate about bringing distinctive, intimate, imaginative and entertaining theatre to your doorstep, performing in unique spaces and places for an unforgettable experience. You'll also more than likely spot our little black and brown, four-legged mascot, Bailey, on tour with us, always ready to offer a helping paw and make new friends!